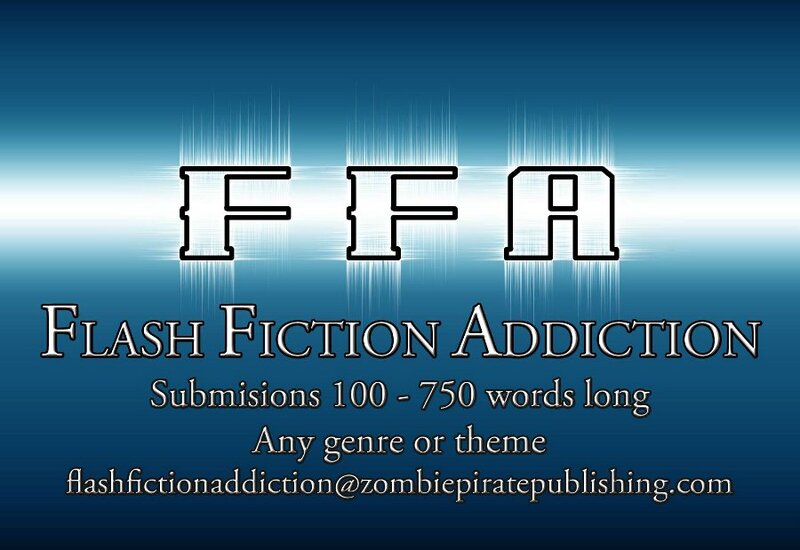 My piece of flash fiction “Growing Flowers” is one of one-hundred-and-one wee tales included in Zombie Pirate Publishing’s upcoming anthology Flash Fiction Addiction, currently available for pre-order on Amazon and delivered to your Kindle device on April 15th. In case you don’t know, “flash fiction” tales are very, very short stories (in this case anywhere between 100 and 750 words long), and any one of them can be read in a few seconds to a few minutes. You can Go Here to find out more. 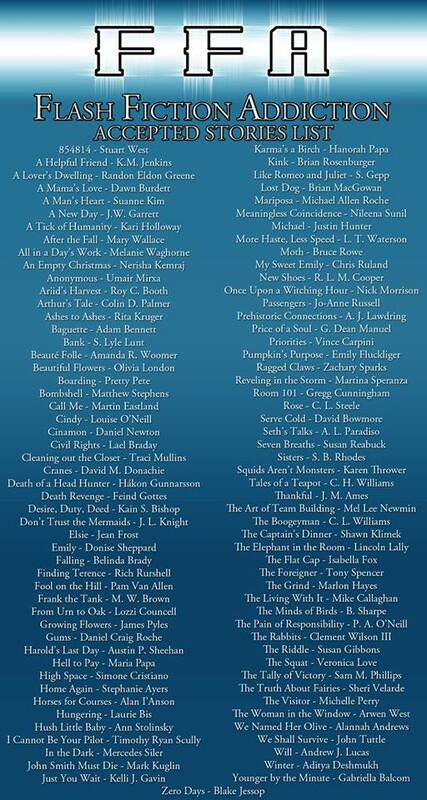 Oh, in the image below, my name and story title is in the left-hand column toward the bottom.